Special moments of the motion picture history remain etched in one's mind. The work of Alexander Crichlow Barker Jr, who is better known by his stage name Lex Barker, is today, more than thirty years after his death, very much remembered. 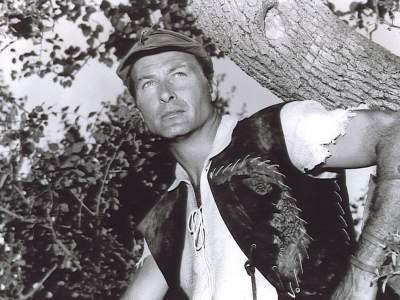 His most famous roles, that of Edgar Rice Burroughs' jungle man Tarzan, Karl May's frontiersman Old Shatterhand, as well as his appearance as Anita Ekberg's fiancé in Fellini's La Dolce Vita, or his portrayal of The Deerslayer based on James Fenimore Cooper's Leatherstocking Tales, evoke fond memories. He was asked to fill big boots but brilliantly mastered that task. When Johnny Weissmuller said goodbye to the Tarzan series, those responsible for running Radio-Keith-Orpheum Pictures (R.K.O.) were faced with the seemingly insoluble problem of finding a suitable replacement Tarzan who was going to be accepted by the audience — until their discovery of Lex Barker. Thus far, Lex had only played small parts, although some of those in movies of exceptional quality like Potter's The Farmer's Daughter, or Dmytryks Crossfire (a milestone Film Noir), both from 1947. And yet that certain twist of fate, without which many actors would never have had a Hollywood career, was still required. 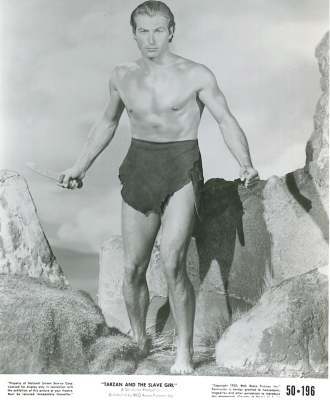 From among a crowd of aspirants, producer Sol Lesser chose a six-foot, four-inch tall athlete with stunning good looks — Lex Barker; and when author Edgar Rice Burroughs confirmed that Lex was the perfect embodiment of his Tarzan, satisfaction was guaranteed. The tenth Tarzan in film history was a lucky find for all Tarzan friends. He imbued the jungle hero with a certain amount of nobility because Lex, born on 8 May 1919 in Rye, New York, was of English-Spanish origin and a direct descendent of Roger Williams, founder of the city of Providence, Rhode Island, and co-founder of the colony of Rhode Island, and of Sir William Henry Crichlow historical governor-general of Barbados in the time of pirates. He was educated at Phillips-Exeter Academy where he also came into contact with acting for the first time during school plays, and his desire to become an actor surfaced. Summer theatre was his stepping-stone to Broadway, but being cast in bit parts still denied his breakthrough. 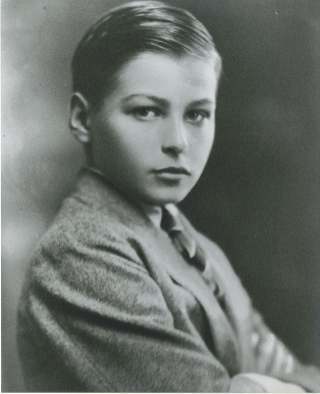 His appearance in the 1939 New York play The Five Kings, directed by Orson Welles, deserves a mention but other than that the young performer hardly advanced. Then came the war, and Lex was drafted into the US-Infantry as a common soldier. He was discharged in 1945 highly decorated as the youngest major of the US-Army. A serious war injury left him with a permanent silver plate implant over one temple. Barker decided to resume his acting career and in the same year made his screen debut in Doll Face. From 1949 onwards Lex's focus was on filling the Tarzan roles with life. His first jungle adventure was Tarzan's Magic Fountain (1949). His depiction of the jungle lord came closer to the original Burroughs concept than that of his predecessor, the critiques of the press were entirely positive, and his audience accepted him as the new Tarzan. After earlier financial slumps, the motion picture turned into good business for R.K.O. The success of Barker's Tarzan film matched that of Weissmuller's, and the subsequent productions did likewise. Tarzan And The Slave Girl (1950, director: Lee Sholem), and Tarzan's Peril (1951, directors: Byron Haskin, Phil Brandon) followed and helped sustain the popularity of the series. Barker's films showcased a particularly appealing jungle fantasy world. Set after the actual colonial era, just before World War II, there were also white tribesmen living in the jungle. Tarzan's Peril became the first Tarzan film partly shot in Africa. But Barker sensed that he was gradually typecast as a jungle hero, like Johnny Weissmuller had been before him, and realised that he rarely had the opportunity to demonstrate his acting qualities. Barker received his first opportunity to play the lead in a small western titled Battles Of Chief Pontiac (1952). The film featured an intelligent view of American Indians, but Lex hardly found an audience. His farewell to the Tarzan series came with Tarzan And The She-Devil (1953), which, again, resulted in a hit at the box office, even though Sol Lesser, due to his constant arguing with Lex about his acting ambitions, had cut down Lex's lines to nearly half of their original length. The Tarzan chapter concluded for Lex with that motion picture, and after the Randolph Scott film Thunder Over The Plains (1953), even though he was convincing next to the famous western star, he transferred to Universal Film a year later. Character role in "Away All Boats"
Lex was given leads in a number of westerns and he impressed with his performances in every one of them, as a gold prospector, for example, in The Yellow Mountain (1954), but above all as a detective in The Man From Bitter Ridge (1955). 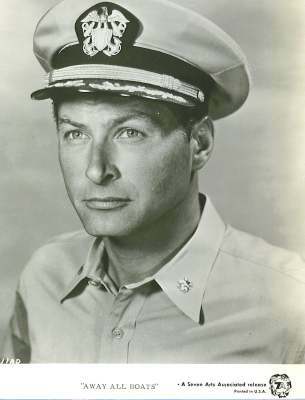 In the naval war drama Away All Boats (1956) Lex shone in a complex character role that earned him considerable acclaim. But no better roles were offered to him, even though he was able to prove his acting skills in the smart psycho thriller The Girl In Black Stockings (1957) and the filming of James Fenimore Cooper's classic The Deerslayer (1957). Lex Barker's career in Hollywood had come to a standstill! As Robin Hood in "Capitan Fuoco"
Lex Barker finally dared, like so many other stars of the golden Hollywood years, to move to Europe. It was a decision that was going to be proven correct. Via England, he made his way to Italy where he was very much at home in the wave of adventure movies. He also filmed in Spain and France. Lex spoke fluently French, Italian and Spanish and his linguistic skills paid off; in addition, the athletic actor had not the slightest problems starring in swashbuckler films. Famous scene in "La Dolce Vita"
His image received a substantial boost when Italian director Federico Fellini cast him in La Dolce Vita (1959). His portrayal of a drunken ex-Tarzan actor (!) earned him much prestige. Another turning point in Lex Barker's life came when he met Artur Brauner, the German film producer who introduced Barker to Germany's film industry. As the hunter of infamous movie bad guy Dr. Mabuse Lex excelled in the role of F.B.I. man Joe Como in the two black and white crime thrillers Return Of Dr. Mabuse (1961) and Invisible Dr. Mabuse (1962). He became Frauenarzt Dr. Sibelius (1962) before the role of frontiersman Old Shatterhand in the German Karl May movies made him a cult star in Europe. Well ahead of Italian producers, young filmmaker Horst Wendlandt dared to create Wild West movies with budgets of several million Deutschmarks. The surprise came when his motion pictures surpassed all established records. Moreover, years later Sergio Leone acknowledged that without the pioneering success of these films, he would never have entered western film territory. 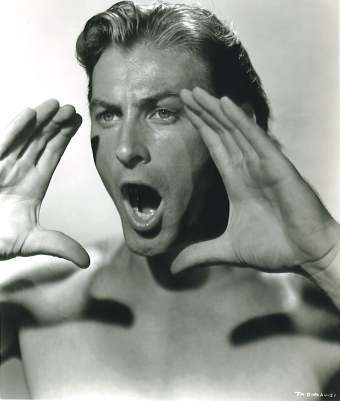 Lex Barker, meanwhile, became an overnight sensation in Europe and advanced to one of Europe's greatest box office magnets. While American audiences forgot about him, his popularity in Europe quickly soared above the popularity of super stars such as John Wayne or Clint Eastwood. 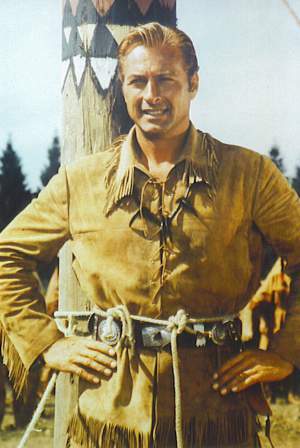 During those years, a total of twelve films based on Karl May novels were created with Lex Barker. They took him mainly into the Wild West as Old Shatterhand, but also to Mexico as Dr. Sternau, and as Kara Ben Nemsi into the Orient. Especially the first two pictures, The Treasure Of Silver Lake (1962) and Apache Gold (1963) served as a yardstick for the genre and were also appreciated in America. 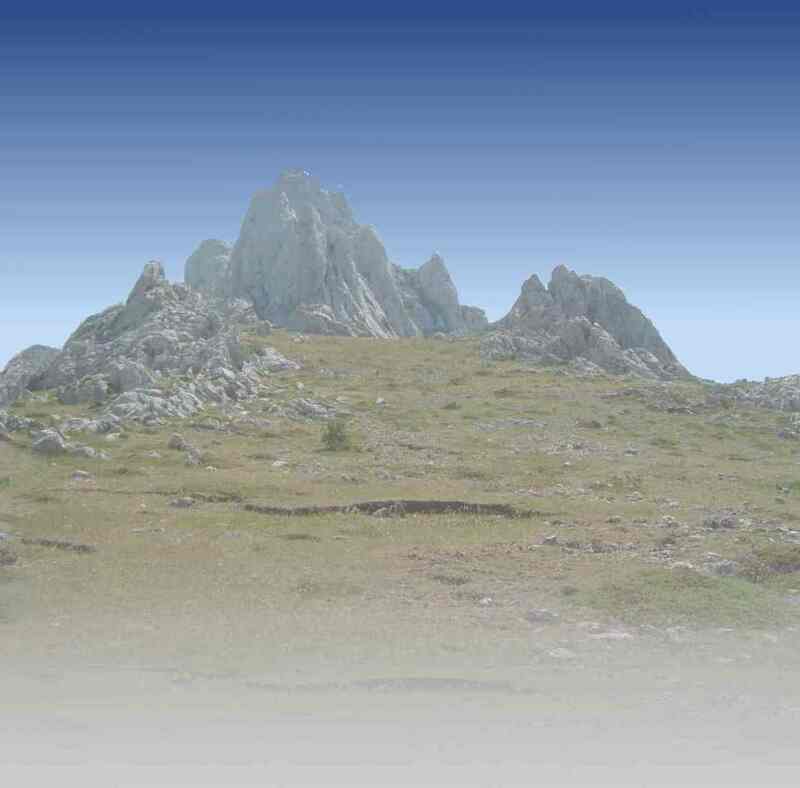 The fact that the films were made on location in what was once Yugoslavia, today's Croatia, and Spain was no disadvantage, on the contrary, these landscapes gave the films their own mood. in "The Treasure Of Silver Lake"
The public was delighted when the Red Indians were on equal footing with their white counterparts. 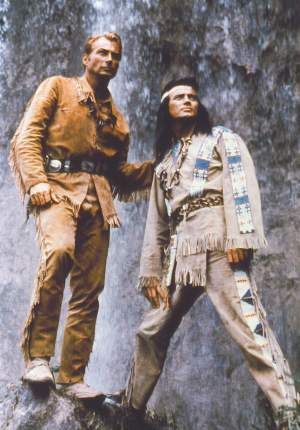 Frenchman Pierre Brice portrayed Lex Barker's blood brother, the Apache chief Winnetou. The first title theme in the series, the Old Shatterhand Melody by composer Martin Boettcher, grew into an enormous hit. 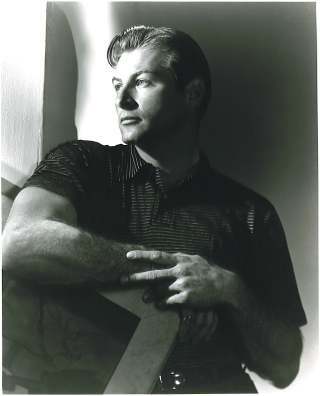 Riding the western wave, Lex Barker took to the microphone and recorded two love songs in 1965 in the style of western ballads; one of them composed by Boettcher. Next to leads in Karl May movies, Lex Barker was employed in other big European productions that took him to locations all over the world. Outstanding films, and well worth seeing, include Code 7, Victim 5 (1964) where Lex played a private eye investigating a series of murders in South Africa; a James Bond-type spy spoof titled Die Slowly, you'll enjoy it more (1966); and Blood Demon (1967), a horror picture based on Edgar Allan Poe's The Pit and the Pendulum that was filmed in authentic medieval settings with Dracula Christopher Lee as Lex's nemesis. The simpatico American could also be admired in two "tougher-style" westerns, A Place Called Glory (1965), with an interesting gunslingers duel, and La balada de Johnny Ringo (1966) where Barker played the villain for once. In 1967, the European box office magnet starred together with Shirley MacLaine in one part of an American seven-part film Woman Times Seven (1967), directed by Vittorio de Sica. Unfortunately, that remained the only US-American production with Lex Barker during the 1960s. By the 1970s things turned quiet for Lex Barker. He withdrew to his Costa Brava home and received few offers for work because by then Italo westerns and erotica movies were in vogue. After Lex had achieved all there was to achieve for him in Europe, he was drawn back to America. Determined to make a comeback in Hollywood, he was quoted as having said that he would do anything for a chance to live and work in America again. But the comeback turned out to be more difficult than he had expected. To begin with he was only offered a few guest appearances in popular television series such as The FBI - episode: Three Way Split or It Takes a Thief - episode: The King of Thieves. German viewers were able to see Lex together with Ron Ely, the television Tarzan, in a Tarzan sketch. In 1973 Lex Barker's Hollywood career seemed to gain upward momentum. The German production Wenn Du bei mir bist "When you're with me", filmed in 1970, had been his last motion picture. Preparations for a television series with Lex in the lead role were underway, and plans were made for new movies. After the many disappointments of the previous few years, the future looked rosier for Barker. But fate intervened and decided that Lex wasn't to have another shot at fame. 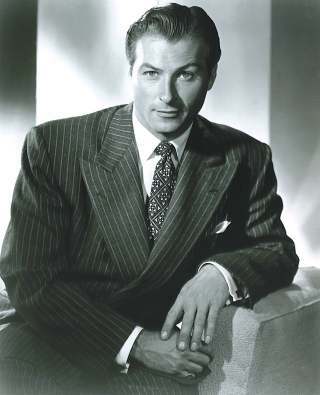 Lex Barker died of a heart attack on 11 May 1973 on Lexington Avenue, New York. 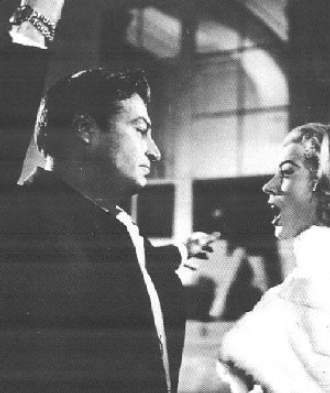 Lex Barker had been married five times, to Constanze Thurlow, Arlene Dahl, Lana Turner, Irene Labhardt, and to Maria del Carmen 'Tita' Cervera. He left behind two sons and one daughter. He is immortalized in a total of seventy-three motion pictures.